David graduated in Glasgow in 1996 and moved to Yorkshire with Shirley to work with farm, equine and domestic animals. They then worked in two small animal veterinary hospitals in Nottingham and Lincoln, before moving back home to Ayrshire to get married. 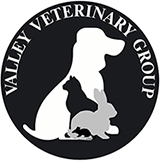 David started Valley Veterinary Group in 2001. Together, David and Shirley have three sons and two dogs, Harry and Eric. When they are not working they spend most of their time with their family. Shirley graduated in Glasgow in 1996 and moved to Yorkshire with David to work with farm, equine and domestic animals. They have worked together in practice for many years, after working in a small animal practice in Paisley for nine years. Shirley joined David when they opened their new purpose built surgery in Kilmarnock in 2009. Meghan graduated from Glasgow University in June 2017 and joined the VVG team shortly after, in July 2017. She has a keen interest in small animal internal medicine and cardiology. At home, Meghan has a Westie named Spud and is also very attached to one of our practice managers dogs, Lola the Jack Russell. Outside of work Meghan enjoys camping, cycling and hill walking but also likes to put her feet up in front of the telly. Meghan is a local girl and fits very well into the VVG team. Kirsteen has been a vet since 2005 and graduated from Glasgow Veterinary School. She has been a locum vet for a while now, including time with us, and has decided she likes it here at Valley Veterinary Group so much she is now a full-time permanent member of the team! The whole team is very excited and Kirsteen is fitting in extremely well. Kirsteen has a Labrador called Millie and a Spaniel called Harry and she enjoys taking them for long walks in the country, she always enjoys sports and keeping fit. Millie is a particular favourite with our student nurses as she lets them practice their bandages skills on her. Rebecca graduated from Edinburgh University in 2016 and joined us shortly afterwards. She has a keen interest in exotic species, especially reptiles, and is always happy to have a chat with you about the health or husbandry of your scaly pets. When not at work, Rebecca loves spending time with friends and family and she is kept busy with her own pets. These include a dog, two bunnies, a crested gecko, a corn snake, a tortoise and a giant African land snail! Amelia joined Valley Veterinary Group shortly after graduating from Glasgow University in June 2018. Amelia has a special interest in charity work and has spent a lot of time volunteering to help animals across the globe. At home Amelia has a bunny called Bobbie and a Border Collie called Trixie. In her spare time she enjoys running, going to the gym and taking Trixie for long walks along the beach.